In the middle of the Namibian Desert. 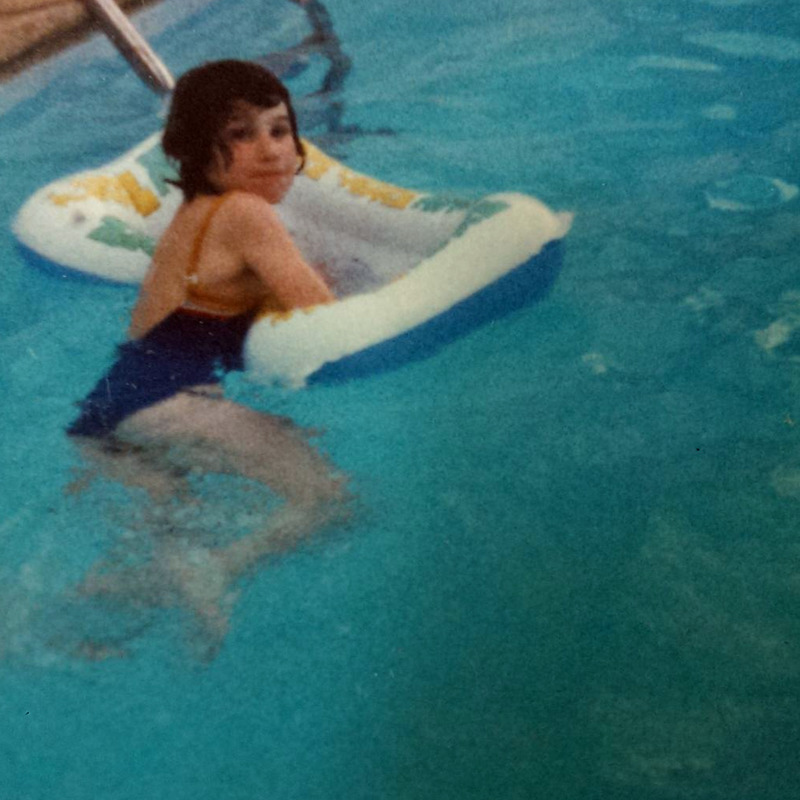 Once, I wrote a blog post titled, Not For Sissies. I wrote it a while ago but fast forward to now and I still think life in South Africa can be hard. Electricity and water might stop working without warning and even if there is warning it doesn't help much. Homeless beggars stand in the streets pointing to their mouths to let you know that they are hungry. Sometimes, the beggars don't even stand in the streets, they sit or kneel in between the lanes at intersections. I am not sure if they do this because they are too hungry and weak to stand or because they are hoping to be hit by a car. Mothers also stand on street corners with their young children in tow, begging for spare change or food. The kids at the Diepsloot school come to school with torn uniforms which leads me to think that either no at one home has the means to sew and repair the items or no one cares to. Which is worse? I'm not sure. We just returned from Namibia a country I would describe as harsh. While South Africa can wear on you emotionally, whether you're frustratedly trying to renew your TV license or feeling concerned for a person you care about who is barely holding on and surviving. Namibia, wears on you physically. Don't misunderstand my use of the word harsh to mean that I wish I didn't go to Namibia or that I didn't like it. On the contrary I loved it and it would have been a shame to have skipped it. Namibia lies to the northwest of South Africa and borders Botswana to the east and Angola and Zambia to the north. It's western boundary is the Atlantic Ocean. I have wanted to visit Namibia ever since someone described it to me as "looking like another planet." Much of Namibia is desert (both the Namib and the Kalahari) and the desert runs right into the ocean. Our first stop was a place called Swakopmund located on the shores of the Atlantic near Walvis Bay. I'll write about Swakopmund shortly but this post is about our road trip from Swakopmund to a place called Sesrium near Sossusvlei which is a famous area for those who know about Namibia. I realized as we began the drive that I haven't spent much time in deserts. I've been to Phoenix and Las Vegas a few times each. Once, I drove from Tucson to Phoenix and another time I drove from Albuquerque to Santa Fe but that's pretty much the extent of my desert experiences. When I think of the desert I think of three things, Chevy Chase running around with his pants tied around his head in National Lampoons Vacation, snakes and dry skin. The drive began on a paved road which quickly changed to gravel at which time it became difficult to see where the road ended and the non road began. As we drove, the landscape kept changing from orange sand to brown and flat with occasional small shrubs to dark brown and rocky ground and then back to flat lands with green grass so fine it could barely be seen. We passed areas where trees were growing and other spots where we saw were nothing but rocks. If it had been up to me we would have stopped a thousand times so I could take photos of some of the most unique earth I've ever seen but of course that would not have been practical so you will have to settle for photos taken from the car through the window while moving. Notice the dark clouds. Who says it never rains in the desert? While we did see other vehicles on the road, we passed through only one town the entire trip (305 km/190 miles.) The town is appropriately named Solitaire. Referring to Solitaire as a town is being generous as it's a gas station with a shop and a restaurant. I think the employees live on site as well. As we drove we saw no pedestrians and no houses. There were some fences, so someone owns some land somewhere and we saw a few signs for lodges along the way. But that was all. It was desolate. Not to be overly dramatic but if your car broke down and no one stopped to help you you could die. That's Namibia. And don't worry, I'm sure someone would stop....eventually. The other thing I noticed as I stared out the window were lots of used tires (or tyres as we like to say here in Southern Africa) strewn on the side of the road. I began counting them and had just reached number 26 when our own vehicle began to weave and make a funny noise. In an ironic twist of fate we had a flat tyre. Flat is not the best way to describe our tyre. Shredded would be a better word. It was so shredded that part of the tread was stuck underneath the SUV where the jack needed to be placed. While Mr. Deep and our friend were changing the tyre, the rain started. And if that wasn't all bad enough then the hail started. I told you Nambia is harsh. And while there are times that I wish Mr. Deep cared a little more about fashion or took an interest in properly moisturizing his skin I was never so glad as I was in the middle of Namibia to be married to such a manly man who can and does change a shredded tyre in the middle of a hailstorm. 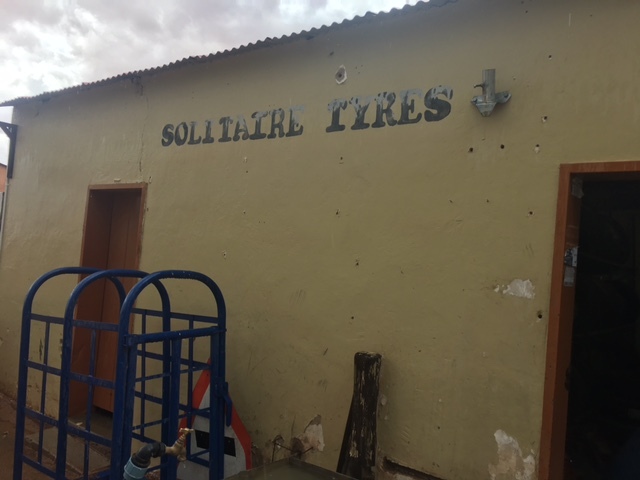 Fortunately the tyre shredding took place not far from Solitaire and when we arrived we found out that Solitaire has a tyre shop. Clearly tyre repairs and replacement are very necessary services in this part of the world. The tyre was replaced allowing us a new spare in case we needed it on the remainder of our trip. Luckily we did not. More to come from Namibia soon. you have got to be kidding. I thought I was the sole owner of the best flat tire story in Namibia:-) Yours is a good one! Maybe if you go to Namibia and don't get a flat tyre you really haven't been to Namibia?